TVs might keep getting better — and better-looking — but one thing that generally hasn’t improved greatly is the sound. This is mostly due to the size — you just can’t fit much in the way of speakers into the thin shell of most modern TVs. 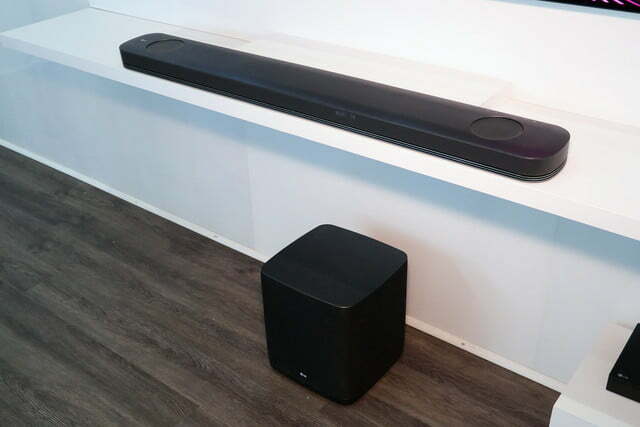 One way to get better sound without going all-in on a home theater setup is to use a soundbar, but most of these can’t give you the latest and greatest sound. 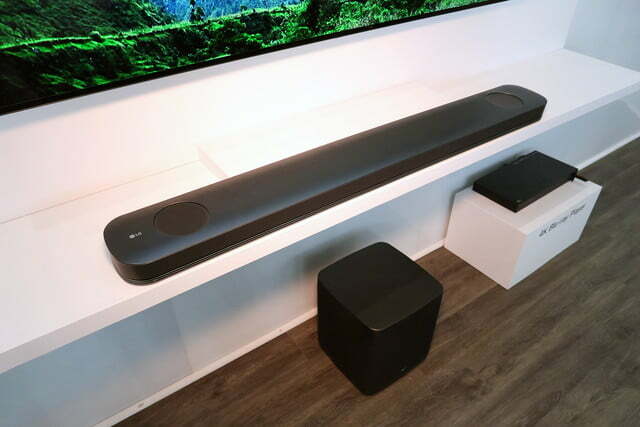 That isn’t the case with LG’s new SJ9 soundbar, which supports Dolby Atmos object-based surround sound. Unlike traditional surround sound, the object-based version— also known as 3D surround sound — isn’t limited to sounds coming from in front of or behind you or off to your left or right. Object-based methods like Dolby Atmos add height into the mix via either ceiling-mounted or upward-firing speakers, allowing sound to come from above or below you as well. This usually requires a home theater speaker system consisting of seven or more speakers and a subwoofer, but LG’s SJ9 packs it all into an ultracompact package. 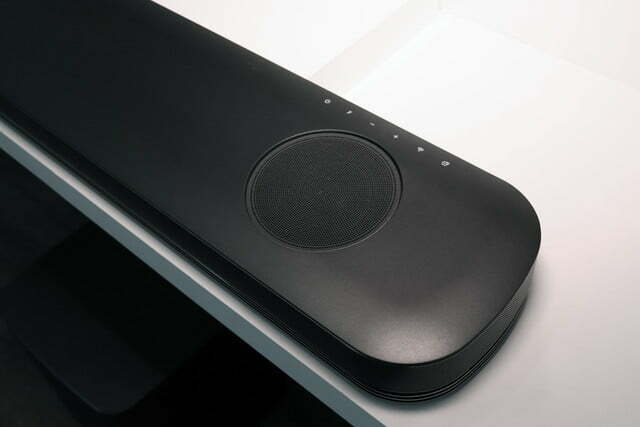 The SJ9 subwoofer features a total of seven individual speakers packed inside, powered by an amplifier LG says is capable of pumping out up to 500 watts. This is paired with a wireless subwoofer to ensure that low frequencies are faithfully reproduced. 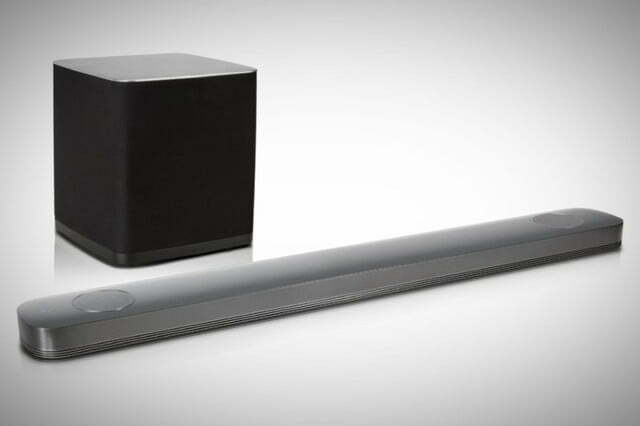 Surround sound in movies and TV shows might be the main goal of the soundbar, but this model also supports High Resolution Audio and lossless formats like WAV, ALAC, and FLAC, and is also capable of upscaling any audio to 24-bit/192 kHz. 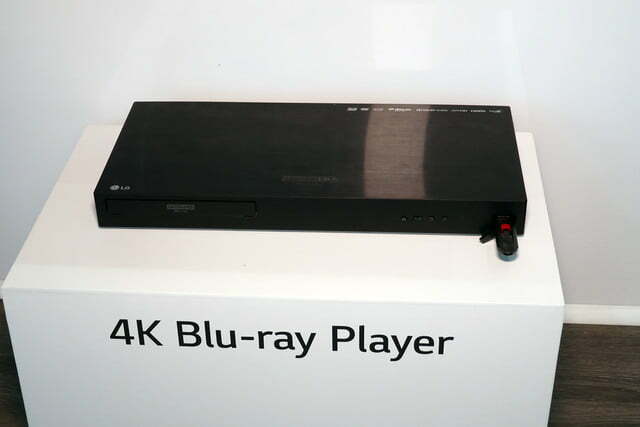 HDMI passthrough is supported, making Ultra HD Blu-ray players and streaming media players easy to connect to both the soundbar and your TV. 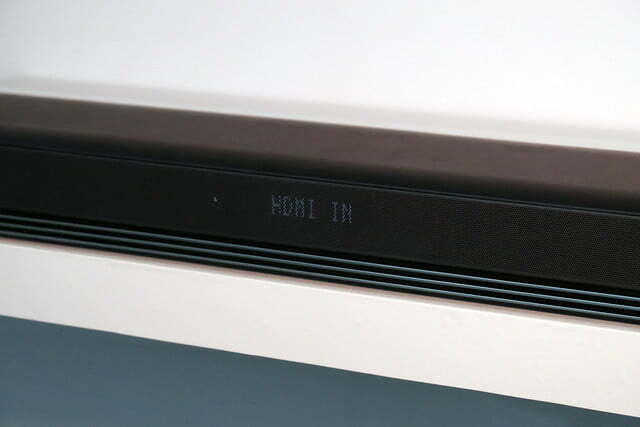 Bluetooth and Wi-Fi connectivity is featured, as well as Google Cast functionality, making it easy to route sound and video from your computer or mobile device through the SJ9 to your TV. 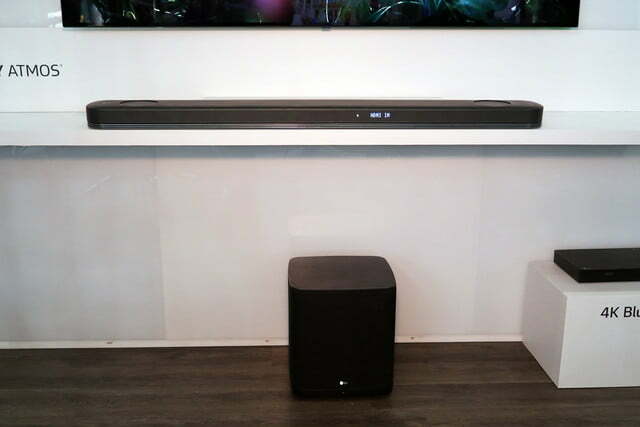 The SJ9 supports LG’s Music Flow, which uses a Dual Band Wi-Fi MESH network to connect with other Music Flow devices for wireless multiroom audio. Integrating the SJ9 with other Music Flow devices is easy, thanks to its one-button setup. 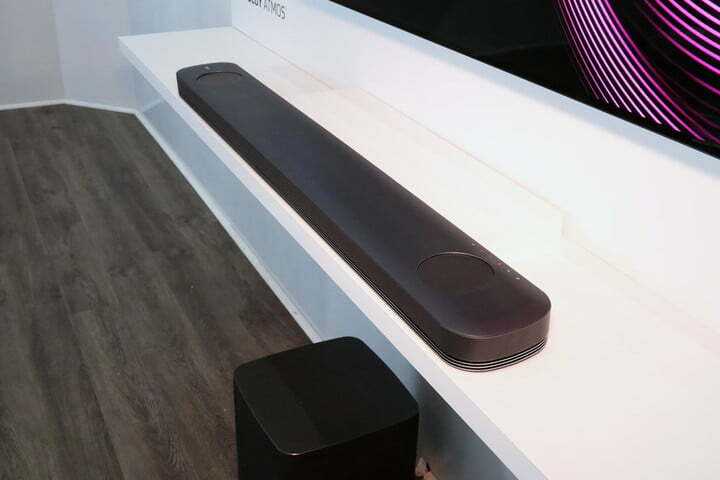 LG is keeping quiet for now on how the SJ9 soundbar will be priced or when it will be released, but the company is showing it off at CES in Las Vegas, so hopefully we’ll be able to provide our first impressions fairly soon.